For the third straight year Denmark’s second city will be hosting its very own festival dedicated the good old-fashioned pastime of playing board games. 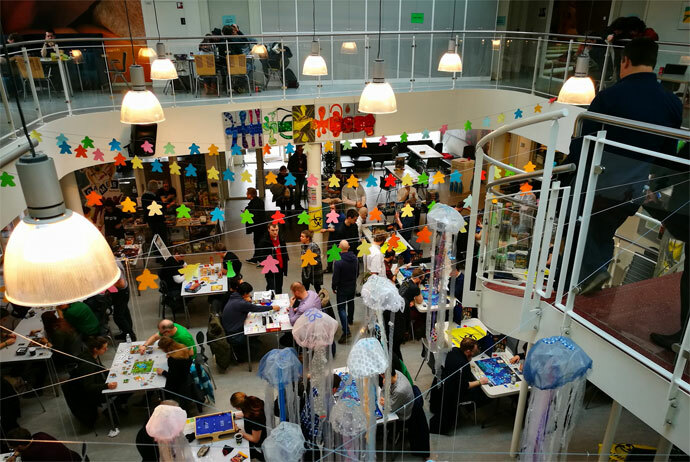 Aarhus Board Game Festival encourages players of all ages to leave their screens for a while to come and play with real people. More than 300 games will be available in the festival’s bulging ‘library’, while board game designers will be introducing their brand new creations too. And if your favourite game is missing from the list, just bring it with you. The festival is divided into zones covering themes like beginners’ games or figure-based fantasy games. And in the ‘Retro Corner’ you can get nostalgic playing old classics like Kalaha and Ludo. Throughout the weekend a bunch of knowledgeable gurus will be on site to teach and introduce you to new games. Meanwhile, experienced players can join a range of tournaments. You can also browse the shops and stalls for something to bring home. Tickets are available for individual days and a weekend pass that includes accommodation can also be bought – get ready to throw those dice!